From the same people who brought you the excellent "Here Comes The New Punk" book, this is an illustrated history of British Oi! 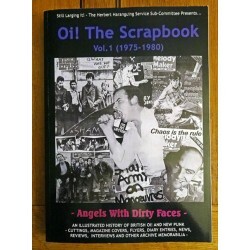 and New Punk, cuttings, magazine covers, flyers, diary entries, news and lots of other archive memorabilia in a jam packed 430 pages!! Includes...Bands A-Z, Discographies and a whole load more besides....336 pages...many years work gon..